Coming home for the holidays has been different every year in Detroit- the city is brighter every year and filled with more energy and holiday spirit than ever before. We love all of the new restaurants, shops and boutique hotels that have been filling the beautiful architecture on and around Woodward Ave. The newest kid on the block is the Shinola Hotel. When a lifestyle luxury goods company, real estate landlord and management firm, and incredible hospitality come together to create a project to this scale, you know it’s going to be something truly special. Cozy up as we fill you in on all of the treats we have in store for you this holiday season! 8:00 am | Take an old school leather goods company. Turn it into a watch brand. Expand from watches to custom leather goods, bicycles, turn tables and countless other lifestyle pieces. The only logical next step is boutique hotel. 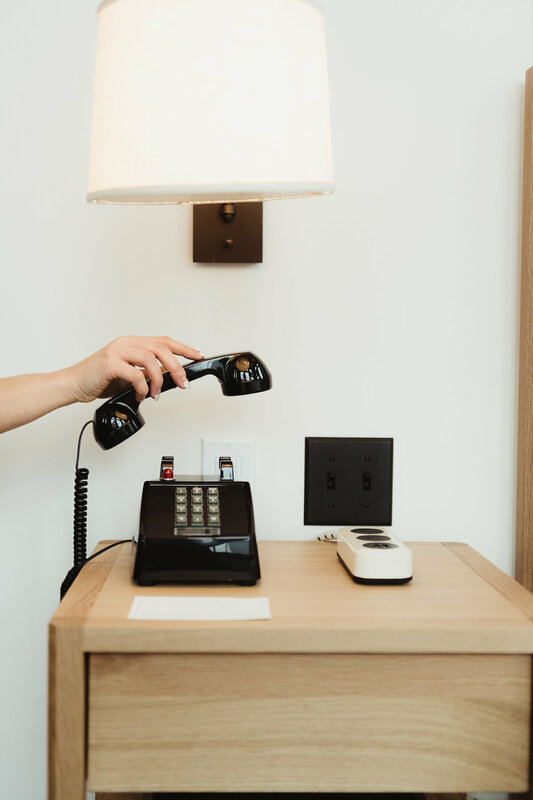 In true Shinola fashion, each room in the brand new Shinola Hotel is uniquely decorated and hand crafted to please even the pickiest of travelers. Hideaway nooks and overlooking terraces are lined throughout what look like four separate buildings from the exterior that are meticulously fluent on the interior. Bedrock Real Estate partnered with the brand to see this vision to fruition and create a true “living room” for Detroit. This development is evident of the history and hard work it’s taken for Detroit to come this far, and the momentum for how far it will go. Locally famous Madcap Coffee out of Grand Rapids, MI, will be opening their first downtown location in the Shinola Hotel alley. We couldn’t be more excited to have them after their appearance at last years holiday pop up market. If you’re staying at the hotel before they open their doors, swing by dessert oasis in capitol Park, always a great second choice! 9:00 am | Start the day on the right foot (or on your tip toes, in this case) and get in a workout before your daily activities commence. Pure Barre is literally a block from your cozy bed, in the Capitol Park district. This class-based workout will have you using muscles you didn’t know you had in small but mighty movements using various weights and resistance tools. Don’t fret if you forgot your gear, they sell tons of clothing items and accessories so you really have no excuse!! Pro tip: not only girls go to the barre- some of the best athletes swear by this workout routine too. 10:15 am | After you’ve worked up a serious appetite, make your way to Corktown, Detroit’s most historic neighborhood. Off of the cobblestone lined streets you’ll find FOLK- the coziest cafe from the owners of neighboring grocer. Weather you’re in the mood for a savory homemade breakfast pie, an insanely large gluten free waffle or avo toast with insane beet goodness spread on top of it, folk will fill every one of your cravings. We highly recommend the rose cashew milk latte (pretty & healthy!). 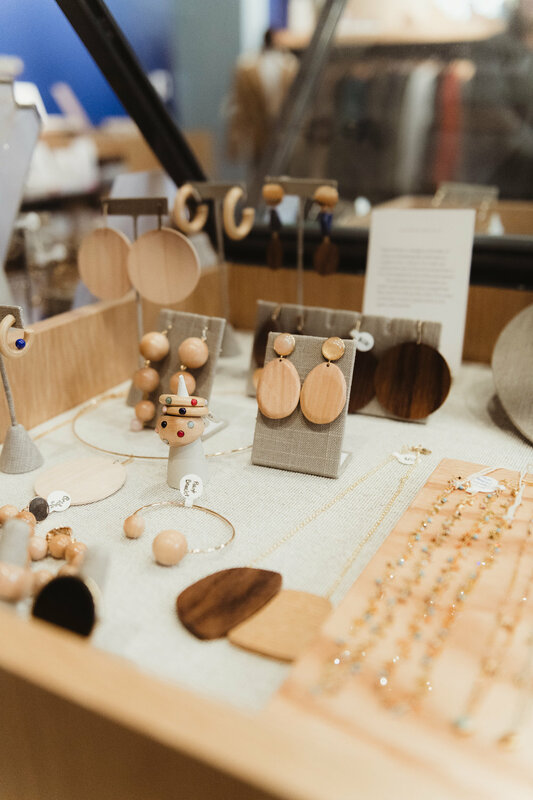 Pro tip: folk doesn’t take reservations, but the neighboring shops have great trinkets, so check them out if you have a bit of a wait- trust us, it’s worth it! 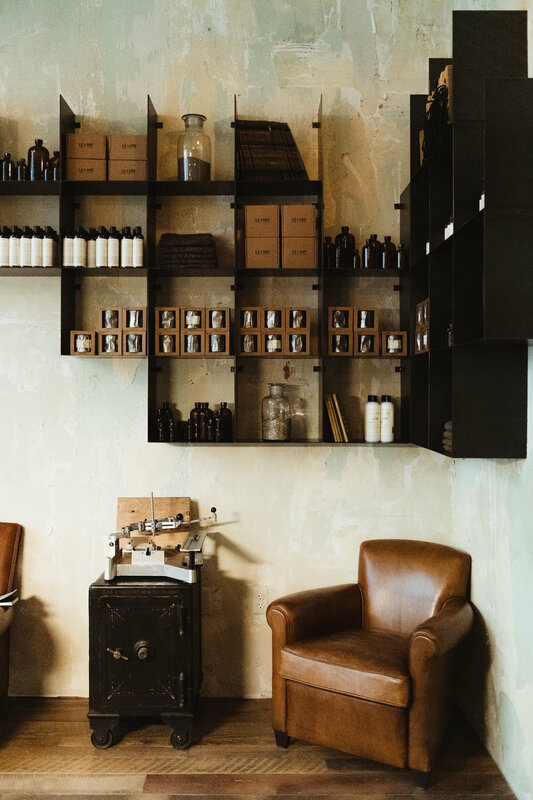 Le Labo Fragrances | We visited this perfumery in Venice in our LA Guide, but now we can get our hands on some fragrance in our own hood! These hand blended scents will make anyone on your shopping list know they’re someone special. This is the first ever Le Labo in Michigan and its right at our fingertips! 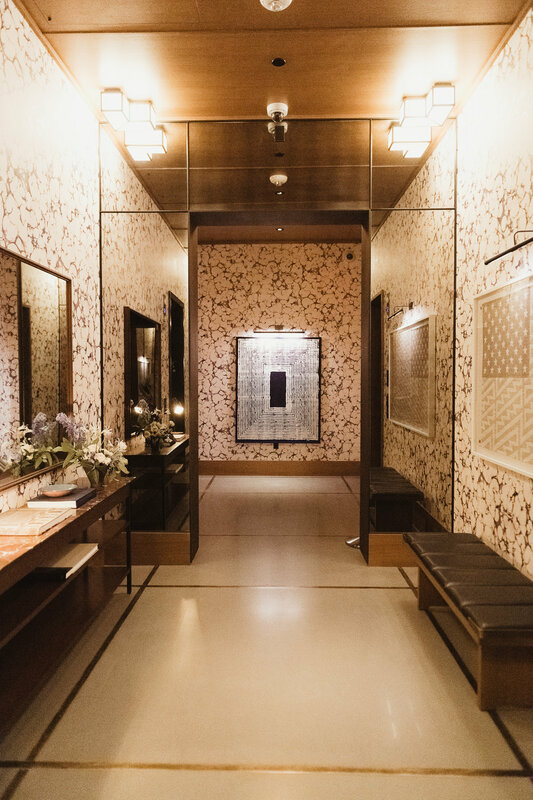 We fall in love every time we open these doors to smell the classic santal 33 candle and mixture of unique fragrances that linger throughout this tiny retail store. Ask for Freddie if he’s around and he’ll help you find the perfect notes to compliment any personality type. Parker's Alley, behind the Shinola Hotel, is named after Thomas Parker, who owned a small parcel at 1413 Farmer St., which is encompassed by the alley that's being activated akin to The Belt at The Z parking deck with shops and restaurants. DROUGHT | One of our all time favorites has relocated their downtown outpost to this bright and shiny new box. We are addicted to these fresh juices and potions filled with vitalizing and energizing goodness. If the change of season has you feeling under the weather, grab a yellow baddie from the fridge and down it stat. You’ll be feeling better in no time! Pose Atelier - A florist and fine jewelry bar that you could get lost in for hours, which is saying a lot since their space is super tiny! If you loved the fresh flower installations around the hotel you’re sure to find something here- the owner, Meg, has an eye for creating these beautifully assembled live creations as well as her offering of other hard to find trinkets. The other businesses that will have entrances on the alley are MadCap Coffee Co., the lip bar (both slated to Open in January) the Brakeman beer hall, opening in the spring; and the hotel’s Evening Bar. Good Neighbor - A curated collection of classic wardrobe basics and accessories for men and women. The new retail Neighborhood of Farmer Street is their physical home and they fully intend to literally be good neighbors. In addition to featuring brands which share their values of mindful sourcing and ethical manufacturing they donate a percentage of our proceeds to local organizations which are making Detroit a better place for all of us. Library Street Collective - An art gallery that’s been a local to library square for some time, library street collective is an evolving masterpiece by JJ and Anthony Curtis. This husband and wife duo have transformed the art scene in Detroit and always keep us in the loop of the hottest new artists and cultural staples. Enter off of library or through the belt for two different but always unique experiences. 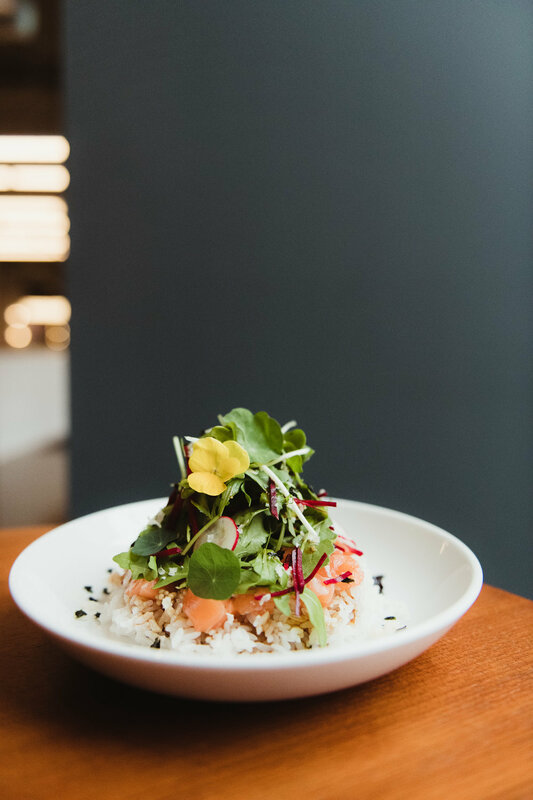 12:45 pm | The first food hall to open in the city, Fort Street Galley is a food incubator for 4 of the most talented local chefs. Offering all different types of fare, we definitely suggest getting something from each vendor. Their mission is to cultivate and accelerate aspiring restaurateurs by providing a forum to showcase their capabilities, hone their craft, develop business acumen, and build a cult following behind their concepts. Also- the bar! One, it’s gorgeous and two, alcohol. No brainer. Isla | A modern approach to Filipino cuisine with both small plates and larger format shared plates)- kinolaw (himachi appitizer) and buko halo-halo for dessert. Allenby | Cheffy sandwiches & small plates with a Middle Eastern twist. Cauliflower and green salad are our go-to apps & the fried chicken sandwich is a definite must. Lucky’s BBQ | A scientific and nutrition-forward approach to pork-less barbecue, with a focus on American Wagyu beef and high-quality ingredients plus proprietary rubs and spices. Two words. Short.Rib. Also we could eat an entire pan of the creamy cauliflower that acts as a side to this buttery meat. Pursue | A scientific and nutrition-forward approach to pork-less barbecue, with a focus on American Wagyu beef and high-quality ingredients plus proprietary rubs and spices. Roe & rice is straight FLAMES. Don’t skip it. 2:00 pm | After you’ve consumed something from around the globe make your way a few blocks back into the whimsical holiday atmosphere. This is the second year of the holiday markets that pop up in Capitol park and campus Martius. Bedrock brings in the most magical decor and all local operators to sell their goods in these glass huts that line the parks. At the end of each market is a “lodge” that houses cozy couches and tons of games for the whole family. While the kiddies are playing Jenga the adult family members can grab a cup filled with holiday spirits (cough, gin) and everyone will be feeling warm and fuzzy in no time. While you’re in campus Martius, take part in the festive skating tradition that sits next to the tree. You’ll feel like your at Rockefeller as you’re spinning around underneath the sparkle of the lights and the glow of the surrounding skyscrapers. If it’s too cold for your little ones to brave the frozen ice box, this year the artist FriendsWithYou has teamed up with Bedrock and the group behind Library Street Collective to create the dreamiest indoor roller rink! Throw it back to the jolly good ‘ol days and take a few laps around the art inspired holiday pop-up, Rainbow City Roller Rink. Pro Tip: Make an appointment online so you can make sure you get a time to skate! 4:30 pm | pop back to the room to freshen up and take in the city lights surrounding you. 6:00 pm | Pop back up to your room to drop any goodies you have acquired and freshen up for your Italian feast! Brainchild of Andrew Carmallini and Josh Pickard of Noho Hospitality is San Morello. Every detail of this restaurant is done to perfection, from the wood fired oven in the open-air kitchen to the match boxes printed with old school Italian card games. Take your seat and prepare to transport straight to modern day Italy. We loved the entire menu (not kidding, it’s all AMAZING! ), but if we had to choose we’d suggest the warm ricotta dip, roasted beets, octopus salad, truffle pizza, chicken and scallop entrees, and of course the lasagna. Plates are meant to be shared family style, so ordering more is encouraged (who are we to argue?). Pro Tip: We know you’re stuffed like a ravioli but you cannot skip dessert. The pistachio cake and tiramisu with a lemon twist are worth unbuttoning a notch on your jeans for. Calories don’t count during the holidays, right? 9:00 pm | Get some fresh air and a short walk in after dinner to Wright and Company, a second story cocktail bar situated above the John Varvatos store. There aren’t any exterior signs for this Art Deco bar, so keep your eyes peeled or you’ll miss it. The entrance is off of Street. Take the elevator to the second floor. 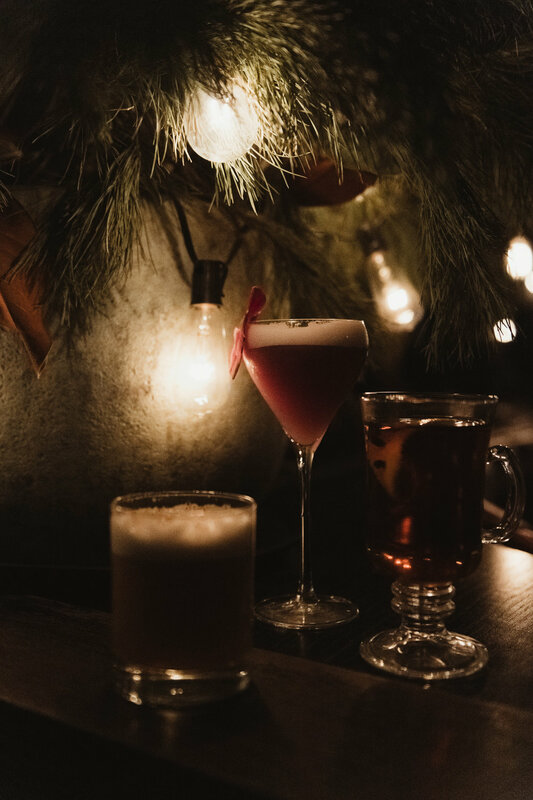 Our favorite drink selections this holiday season were the blue blazer (it’s an experience just to watch the flames coming from the bartenders mixing cups) and the Autumn Bonfire. 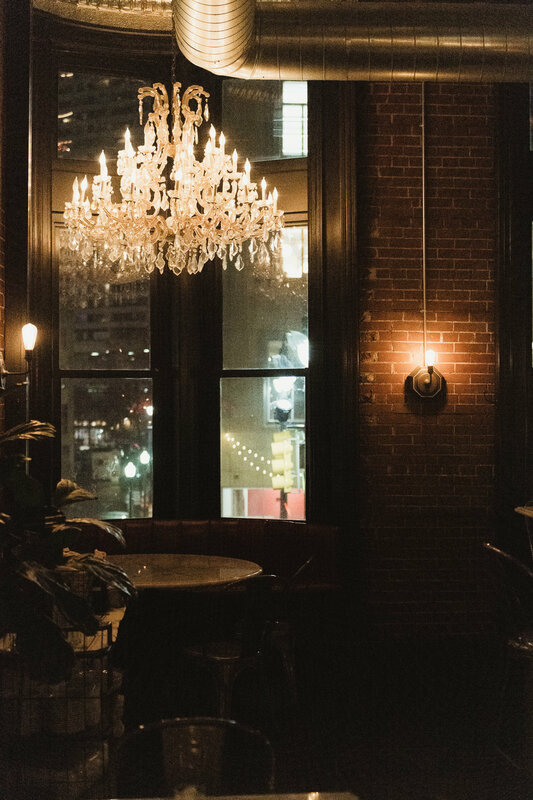 Hide away in a cozy corner overlooking Woodward and unwind. 11 pm | Another masterpiece from the couple behind Library Street Collective is Deluxx Fluxx. This space was in collaboration with artist - Faile — stemming from an installation they did for Art Basel in Miami. It became a permanent fix in this lower level bar and music venue earlier this year and has gone viral since. Even Kanye filmed a music video inside of it! Grab a cocktail and explore each colorful room of this spot lined with various games and artwork to keep you entertained for hours. Pro Tip: The drink menu changes and is based on popular different drinks from around the country. Tourists- you might just find a staple from your hometown! 1 am | After you’ve danced too much on the cosmic colored floor, it’s time to cool down and cozy up by the fire in the Shinola Hotel evening bar. This bar is for hotel guests only, located above the living room. The perfect ending to this full day, you’ll have time to reflect on all you’re thankful for this holiday season as you sip these carefully crafted cocktails. 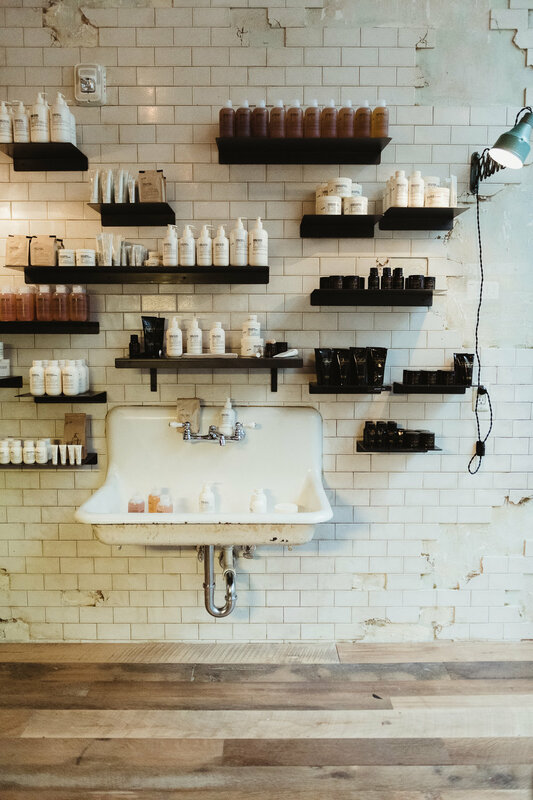 Thank you to the teams of the Shinola Hotel, Bedrock Detroit, FOLK, Pure Barre, Library Street Collective, Wright & Co., San Morello, Noho Hospitality, Good Neighbor, Le Labo Fragrances, and Fort Street Galley. We <3 u. A curated guide for locals and visitors to fully immerse themselves in the city. Featuring dine, drink, play and stay. Combinations of cultural aspects, new age and local staples. content; video, photo, personal statements from local talent and incorporating our personal voice and experiences.